In China, the reform of Gaokao has been discussed for years, but there was no real implementation for it. Gaokao is the most important examination in China, which determines the trends of Chinese education to some degree. Any shift on Gaokao will cause certain changes in the Chinese education system. For example, last year Beijing Education Department proposed that the English scores would decrease from 150 to 100 in Gaokao, which quickly caused the reduction of attention to English language learning. For Chinese students and schools, the requirements of Gaokao seem like the guides during their study. Most of the times, schools and students will focus on the materials that will appear in the Gaokao examination, which creates many test-typed students. 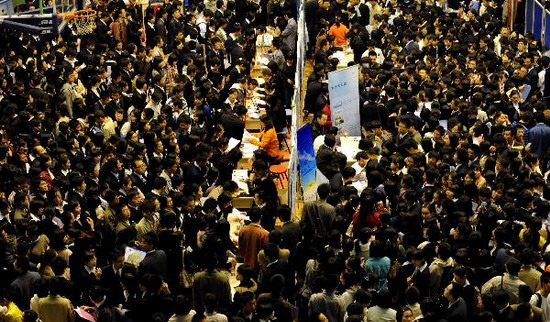 Moreover, the traditional Gaokao and the broader Chinese educational system have also caused a social problem, which is the serious imbalance between “white collar” and “blue collar” job market. Some students who succeed in the Gaokao are treated as “good students” for granted. On the contrary, students who fail the Gaokao have to attend some technical schools to learn vocational skills. After graduation, those “good students” only want to seek some “white collar” jobs with high salary and good environment, and they never take those “blue collar” jobs into consideration. According to public perception, students who graduate from good universities are overqualified for the “blue collar” jobs and few graduates want to be technicians in China. This perception has existed for years and it is difficult to change. At the beginning, the “good students” could find good jobs with their high degree easily. However, the current situation is different. The high number of graduates has intensified the competition in the “white collar” job market, and the recruitment requirements have become much stricter than before. At the same time, those limited positions cannot satisfy the graduates’ demands for jobs. Compared with the intense competition in the “white collar” job market, the situation in “blue collar” job market has a heavy shortage of qualified technicians. Especially in some coastal cities in China, there is a large demand for technicians. Notwithstanding high salaries, it is still difficult for companies to hire qualified people because most graduates do not learn the practical skills and lack the ability to take the job. In addition, many schools and families feel worried about the new scheme because they think it is difficult for students, especially those students who will attend Gaokao soon, to change their traditional learning patterns to adapt to this new mode. The China Education Department has responded that this new policy will be implemented after three years, which would give enough time for students to prepare for the new Gaokao. Many educators and sociologists hold positive attitudes about the new scheme, and they think this reform of Gaokao will change the imbalance between the “white collar” and “blue collar” job market. This new scheme breaks the traditional mode of Gaokao, and opens a new view of educating students more comprehensively. At the same time, this new scheme will not only relieve students’ pressure for the examination, but also change the severe employment environment. Students will have more opportunities to pursue education in their desired schools and obtain jobs. Currently, no one can guarantee whether this change will result in positive or negative outcomes. Currently, there are about 1,200 colleges in China, which have some distinctiveness in the teaching quality and teaching level, offering similar education programs. How will the colleges respond to the new changes? A professor of Peking University Chengwen Hong says, “The most likely change will be some local colleges. They will not aim to build research-oriented or academic-oriented colleges any longer; instead, they will engage in building characteristic colleges to attract more students. At the same time, for those colleges who insist on cultivating technical talents, this policy will encourage schools to enhance schools’ self-confidence”. Professor Hong’s comments reflect that he holds positive attitudes for this upcoming reform, coinciding with the outcomes that we expect. After all, no matter what kind of outcomes will occur, we still look forward to the future.